On the afternoon of the second day of the trip, I took a day trip loop. The northern endpoint was Hearst Castle, where I stopped in the parking lot of the visitor's center, and then turned around. But just a couple of miles south of the Hearst Castle, I found the town of Cambria in a convenient location for a rest break. This is the view from the balcony of my hotel room in Pismo Beach. 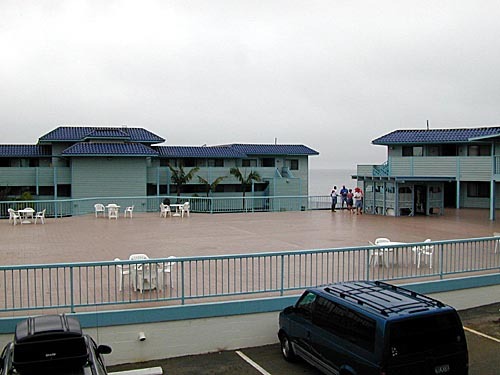 The large deck is the main common area of the hotel. The only vending machines in the complex are in that shelter next to where people are loitering. 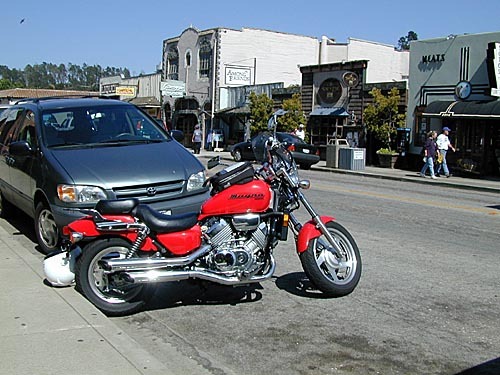 Parked on the main drag in Cambria. Some of the touristy businesses are visible across the street. Wow. 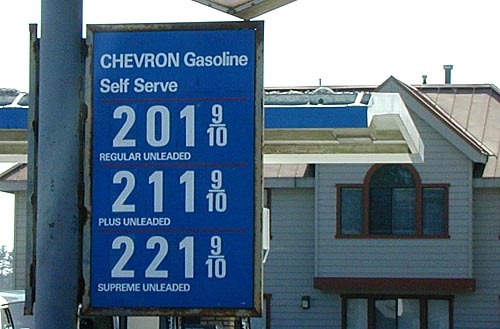 Gas is expensive here. 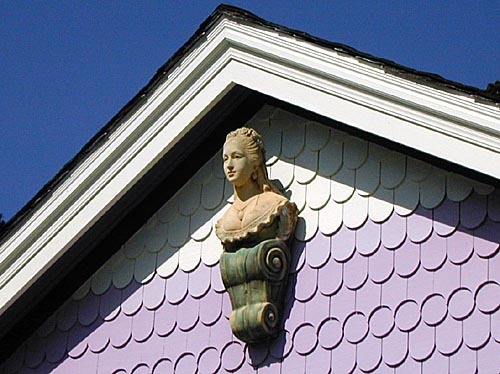 I have no idea if this is an authentic old architectural detail or a bit of modern kitsch. 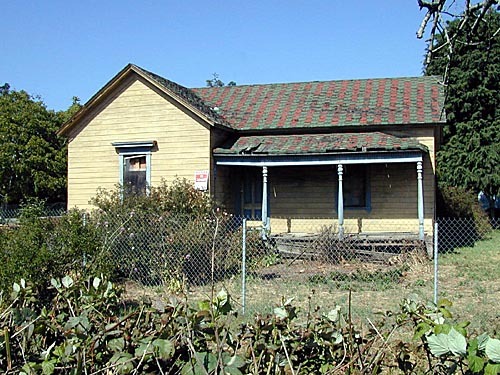 Your typical fixer-upper on the Cambria real estate market. This house is half a short block from the main drag, and conveniently located only a block from the public restrooms.